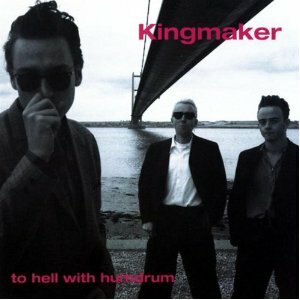 Formed in Hull in 1990 by school friends Lawrence (Loz) Paul Hardy and Myles Howell, the classic Kingmaker three-man line-up was completed by drummer John Andrew, an ex-travelling puppeteer found via the ad pages. Hard work on the road preceded the release of the band’s first EP ‘The Celebrated Working Man’ and a deal with Chrysalis. 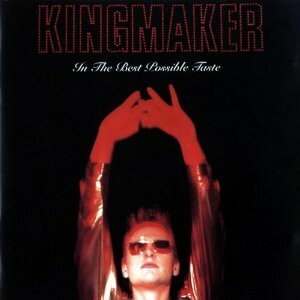 Follow up EP ‘Waterproof’ brought favorable coverage from the press, media support that was extended to include the debut album ‘Eat Yourself Whole’ which reached number 29 in the UK Album Charts. 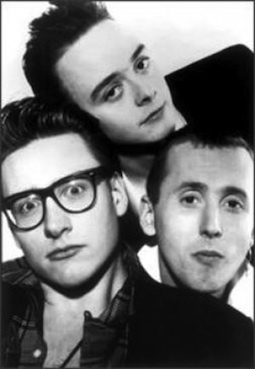 During 1992 the band returned to the touring circuit (being supported by amongst others a nascent Radiohead) and were rewarded with a US recording contract. 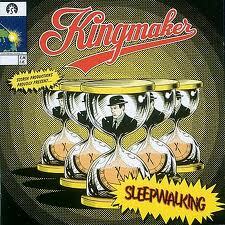 However, 1993’s ‘Sleepwalking’ proved, ultimately, to be the band’s nemesis. The record company reacted unfavorably to the album’s first single ‘Armchair Anarchist’ not breaching the Top 40 and immediately insisted that the band re-write the whole album. In addition they also asked that all promotion of the band be taken in-house and that the band produce multiple b-sides for each single release, a process known as ‘formatting’, which results in the need for up to 40 tracks for each album ‘project’. Third album ‘To Hell With Humdrum’ featured only a few new tracks, the majority being BBC Session versions of the Sleepwalking tracks, and it would be two years before a wholly new album ‘In The Best Possible Taste’ saw the light of day. 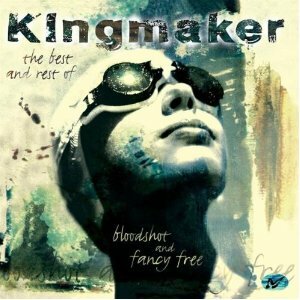 Unfortunately for Kingmaker, the advent of Britpop in the interim, and the continuing disintegration of their relationship with their label, meant that the writing was on the wall. One day in 1995 Loz Hardy, who had taken over dual management duties on behalf of the band, simply walked out of the record label’s offices and never looked back. Hardy has subsequently spoken of his depression and resultant nervous breakdown, that he blames on the actions of the record label, but he eventually found some support from long term friend Justine Frischmann and the two have collaborated on a couple of Elastica tracks. Myles Howell returned to college on the demise of Kingmaker and gained a degree in psychology from the University of Hull before becoming a journalist on the Hull Daily Mail. John Andrew joined a PA company and then landed a job at the BBC World Service. 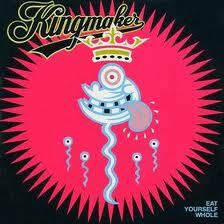 In 2010 a line-up without Loz Hardy, and including Hull musicians Micahel Wright, Jonee Kemp and Phil Keech, played a gig at the Kentish Town Bull and Gate as Kingmaker MMX.